I have the following trackables registered with geocaching.com. As each one is transported from cache to cache it will be possible to track the journeys. Most of these have yet to be placed so this page will remain relatively static for a few more weeks. Grasshopper 1 TB3G6TQ – has been picked up though not yet placed. 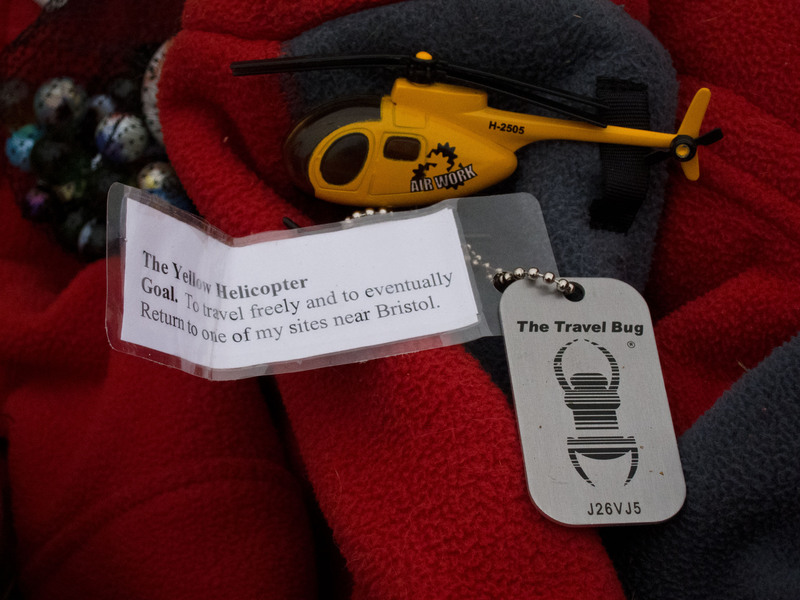 The yellow heli is a travel bug I found. It is currently waiting at Glenelg Falls for another lift. Signal FTF Micro Geocoin – was at Port Bickerton and is now being moved. Virtual Ghost Micro Geocoin – was in Guysborough, now being moved.